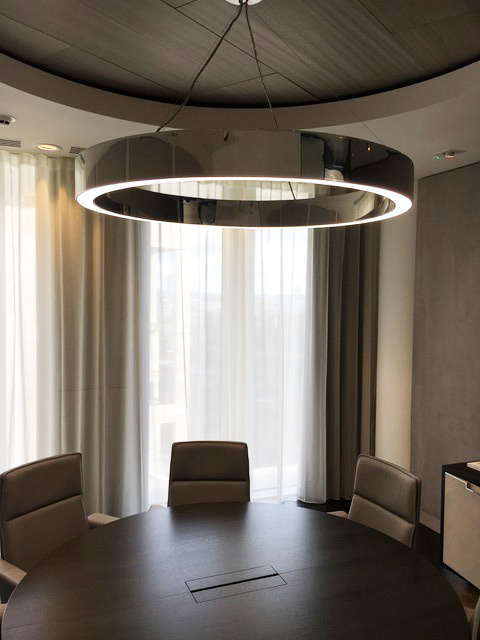 Together with the design team, DAL designed these elegant direct / indirect ring shaped pendant luminaires for this prestigious client. 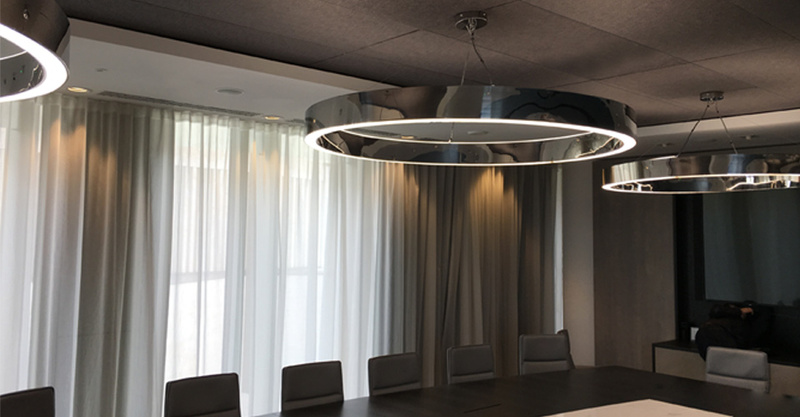 The luminaire design incorporates prism diffusers to give an even lighting distribution over the meeting room and conference room tables. Visual comfort is also achieved with this low glare product. 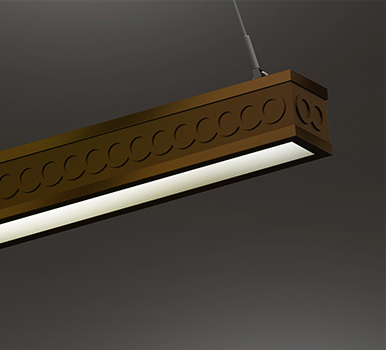 Each pendant has a 120mm high x 60mm wide channel and is made of mirror polished stainless steel. There are three different sizes: 900mm, 1200mm and 1500mm diameter, all with 4000K, CRI >80 dimmable LEDs. 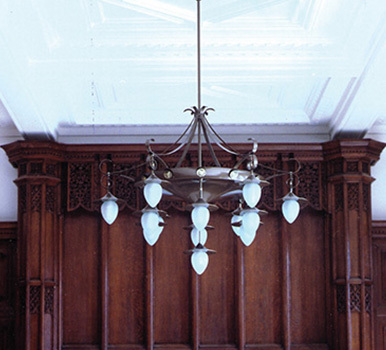 A quantity of the pendants had integral emergency lighting controls.